SEO is a process. We say process since it can’t all be done just by adding a few things here and there. For one there’s research, data analysis, code and content work, external or off-site work and all this work needs to be planned out based on the research. Another important thing to note is that search engines look to see that the work is all done at a natural pace. If too much is done too soon it can be seen as an attempt to cheat search engines in order to gain position online. 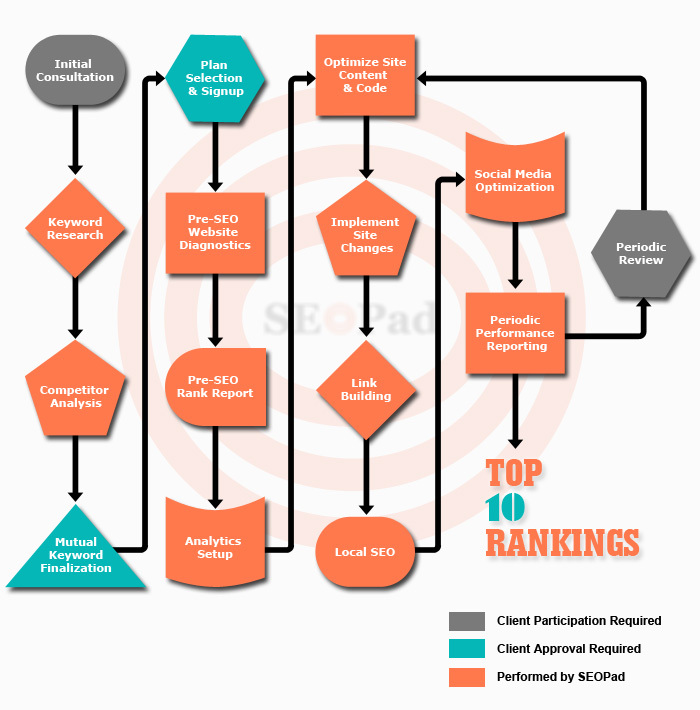 The flow chart below gives a broad overview of our SEO process. While the entire process is confidential, we can provide our clients a walk through of the process during the initial consultation call.